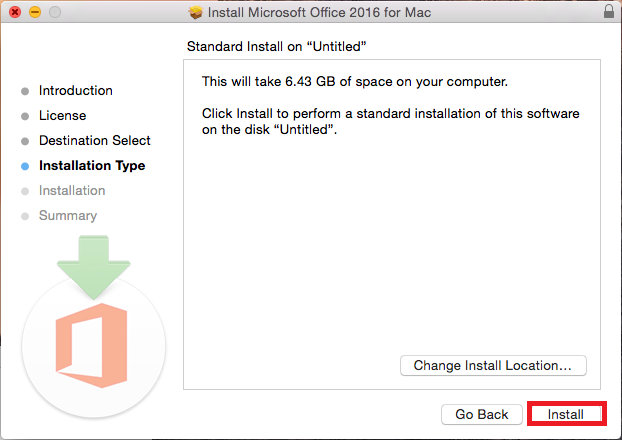 NOTE: You cannot use any Office software until your first day of class, regardless of status, if you are a new student. 1. 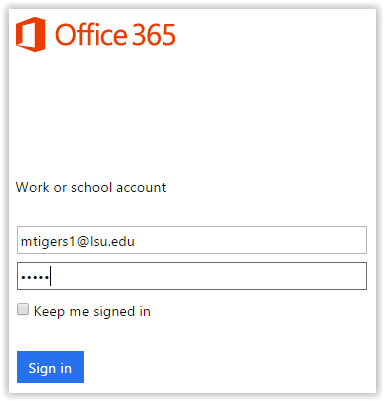 Sign in to Office365 using your LSUMail account (i.e. mtigers1@lsu.edu). 2. 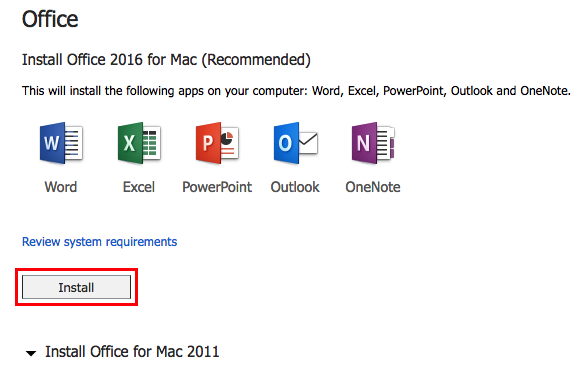 Click the Office 365 button at the top left corner. 3. 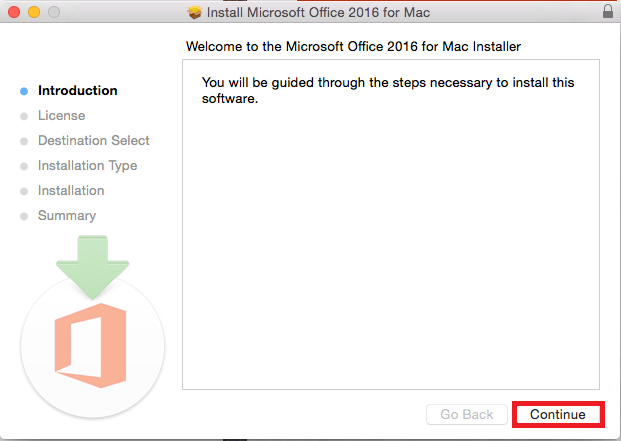 On the main screen, locate Other Install Options under the Install Office apps drop down menu at the top right of the screen. 4. 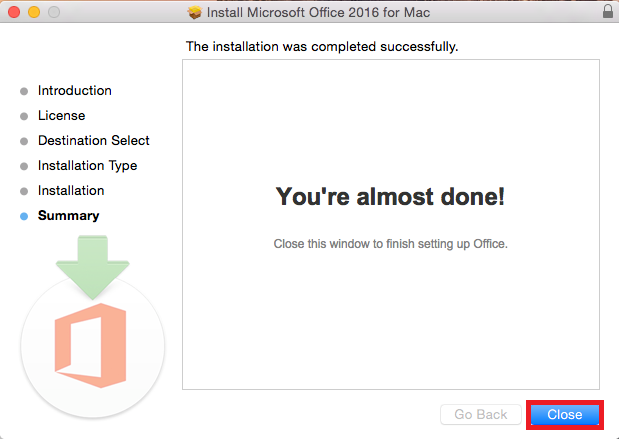 Click Install in the middle of the screen. 5. 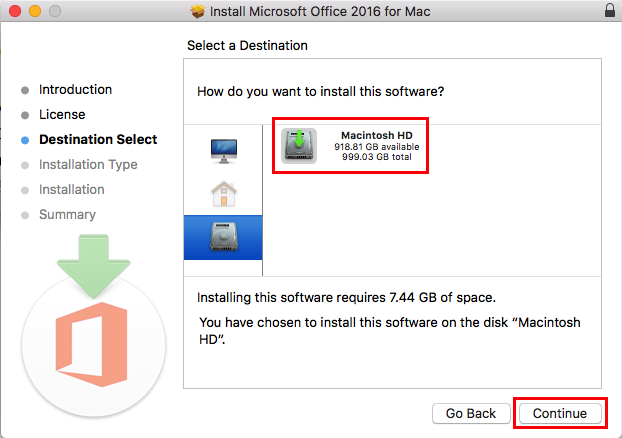 After the download has finished, open the file to start the install, and on the Introduction page select Continue at the bottom right. 6. 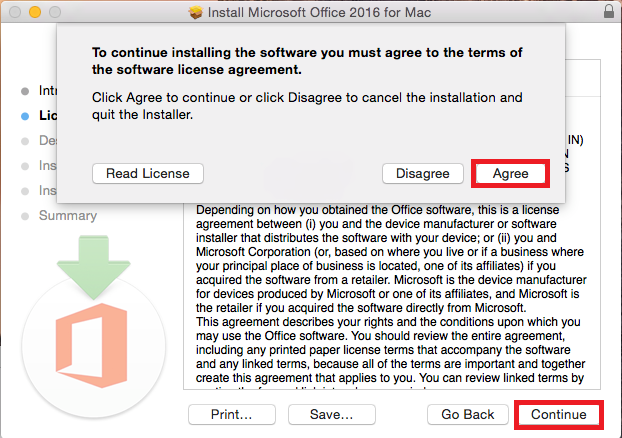 Select the Agree option to agree to the terms and conditions, then select Continue. 7. On the next screen, select Continue. 9. 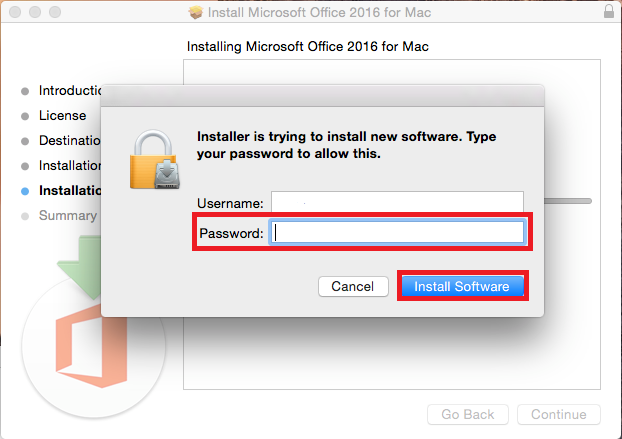 Now type in your computer password then select Install Software at the bottom right of the window. 10. Select Close to finish the installation process.